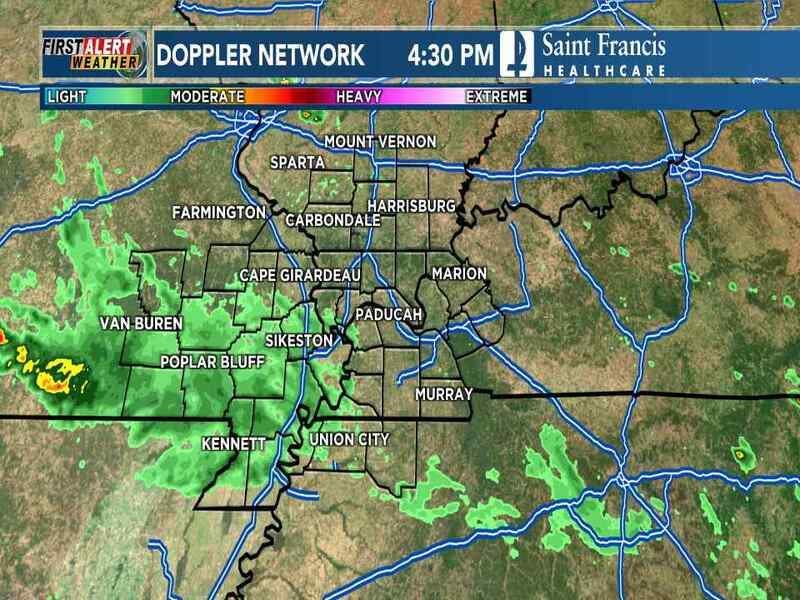 Light scattered showers are possible through the morning hours. Patchy to dense fog is present in areas and will stay in areas until the winds pick up later today out of the north. Gusts may be as high as 20-25mph. High temperatures today will be in the low to mid 50s. Clouds aren’t expected to break up and clear out until this evening. Mostly clear skies heading into Tuesday morning will lead to temperatures near and below freezing across the Heartland. However, a sunny day will be in store with temps cooler than average in the low to mid 50s. We will warm up above average once again into the 60s heading into the second half of this week. Additional rain and storms are forecasted Thursday through Saturday-spring is here!